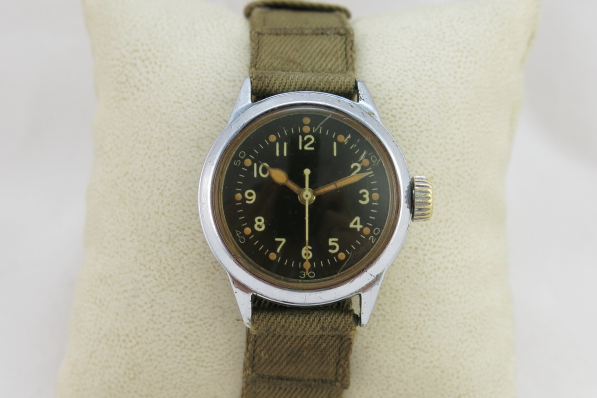 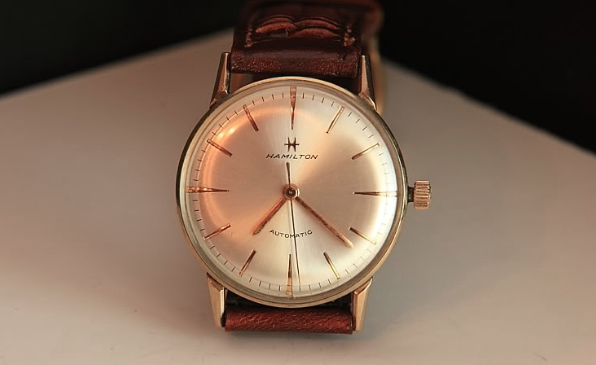 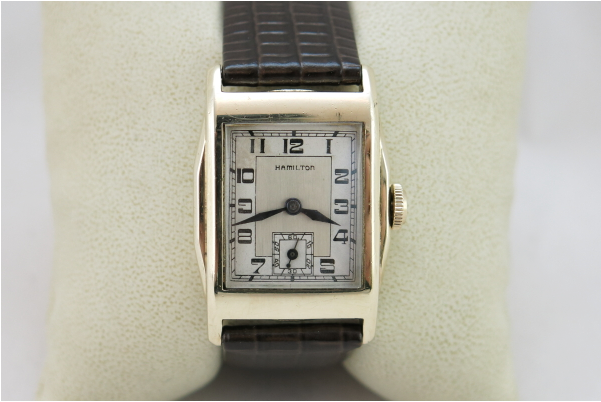 The Hamilton Merritt is a pretty uncommon watch, I think. 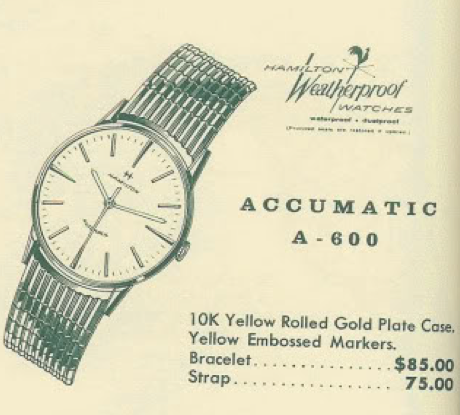 Less than 7,500 were produced. 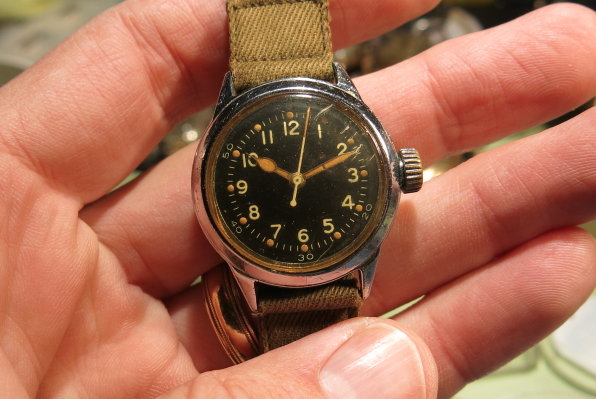 It was introduced in 1937 and produced for three years but you don't tend to see them very often. 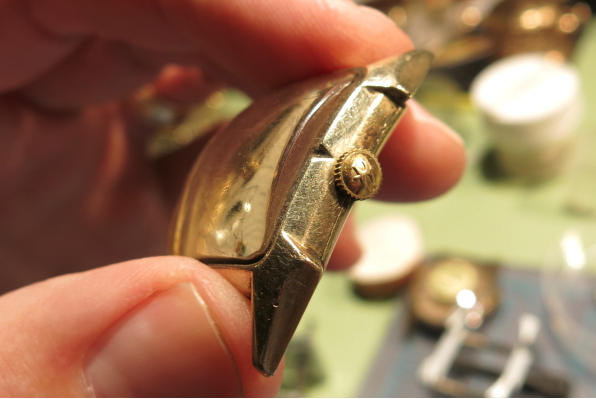 According to the catalogs, the Merritt came only in natural yellow gold filled. 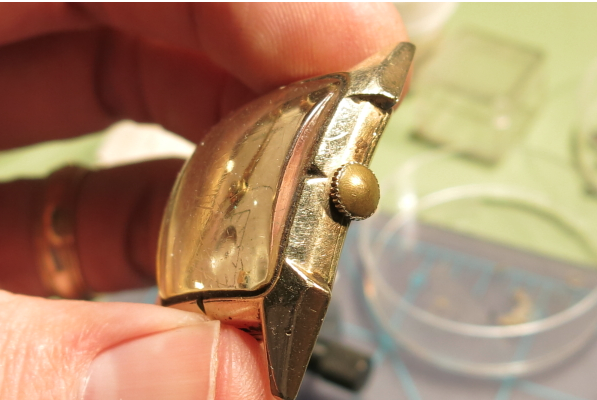 However, white gold filled examples are known to exist. 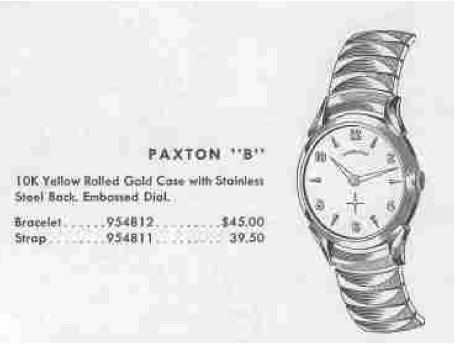 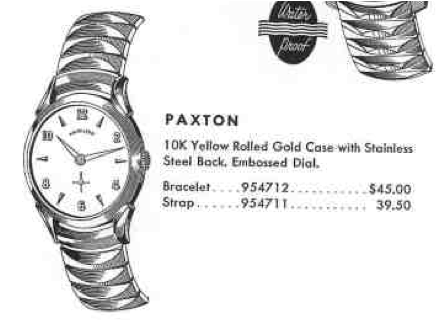 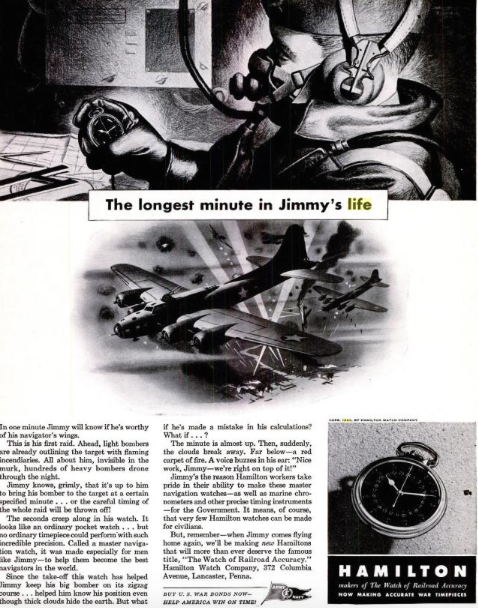 Two dial options were available... an AGN dial as shown in the catalog and also a two-tone black enamel dial. 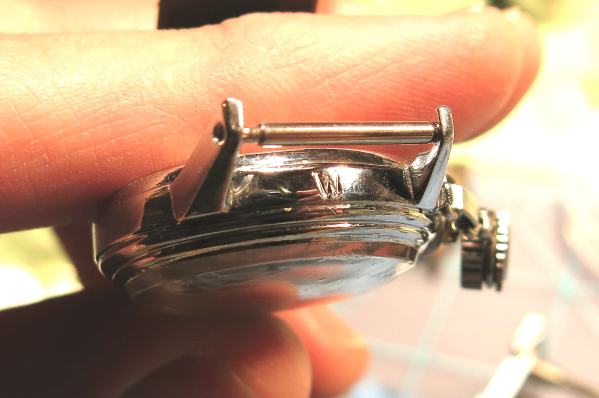 The hand style on the Merritt is called "lozenge". 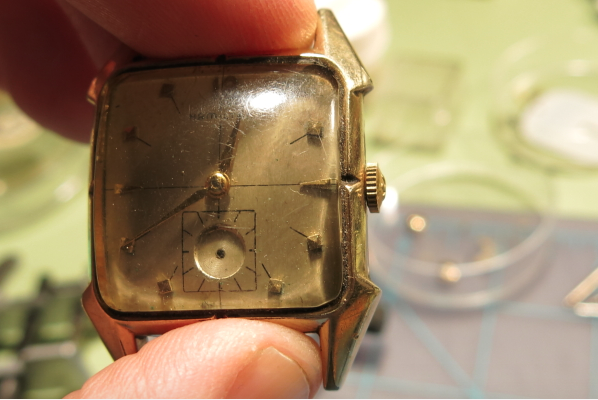 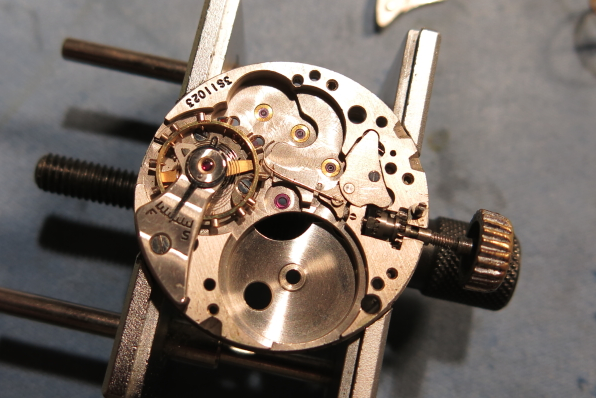 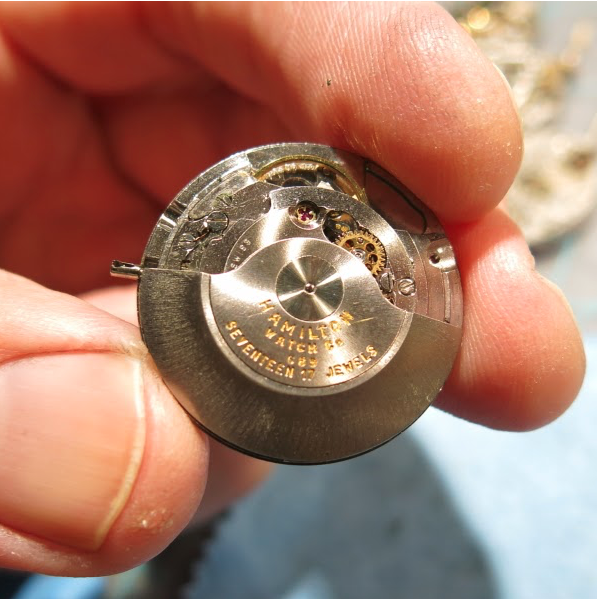 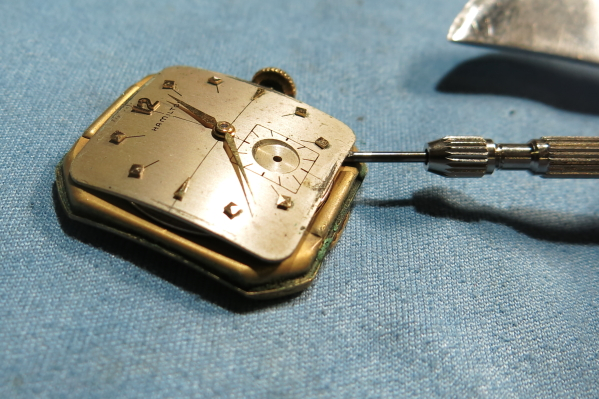 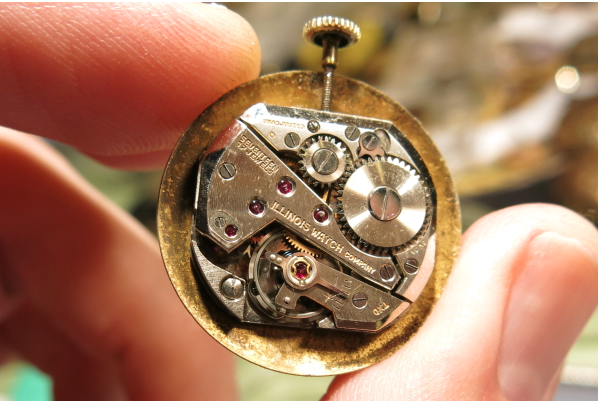 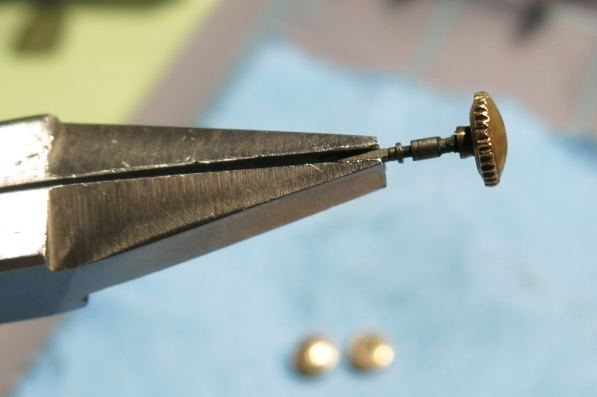 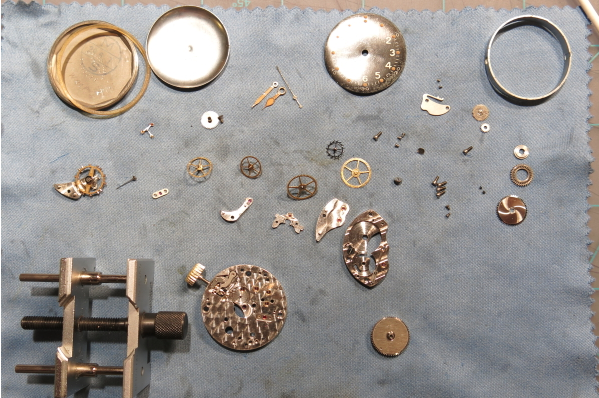 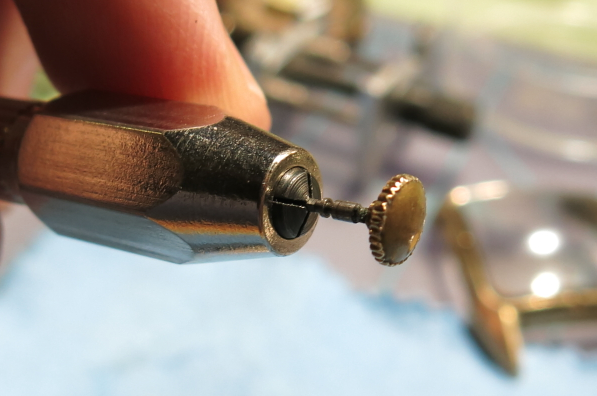 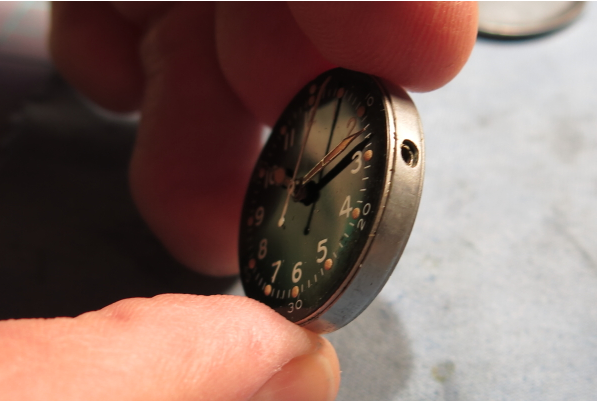 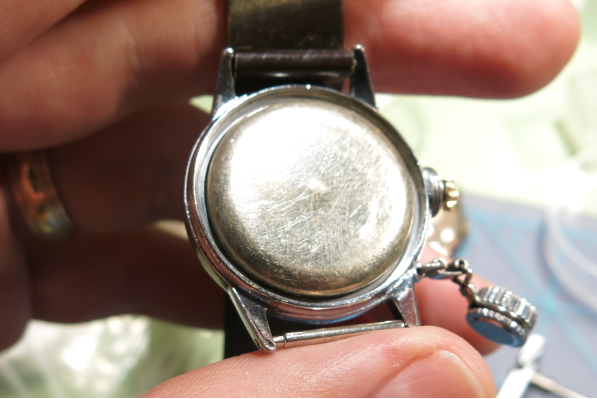 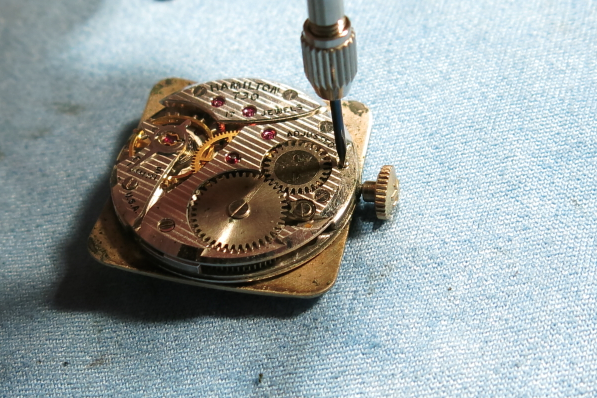 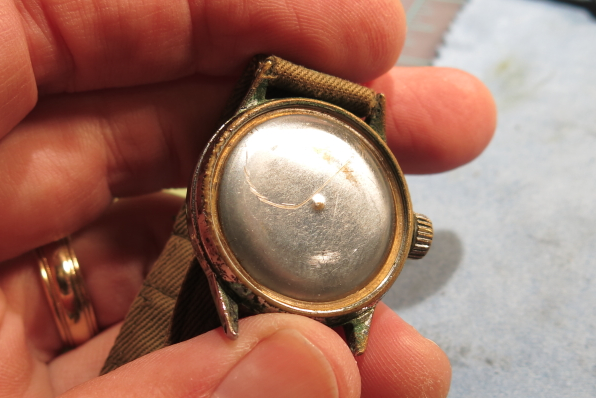 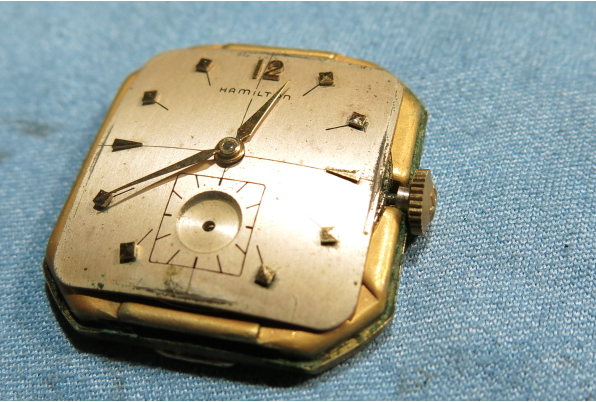 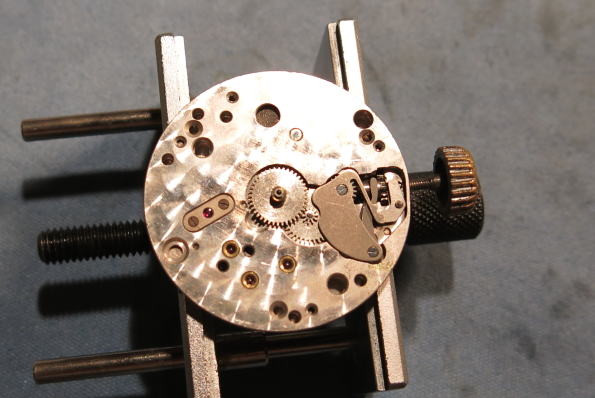 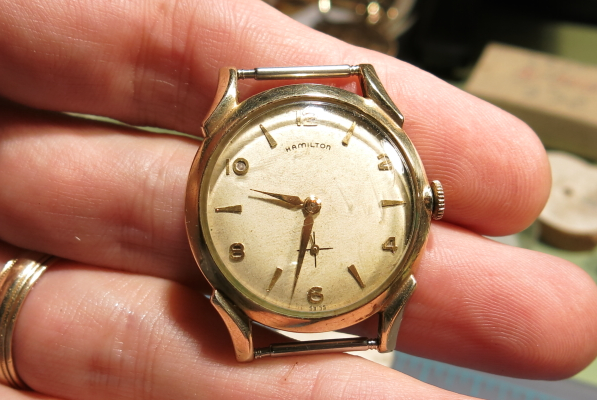 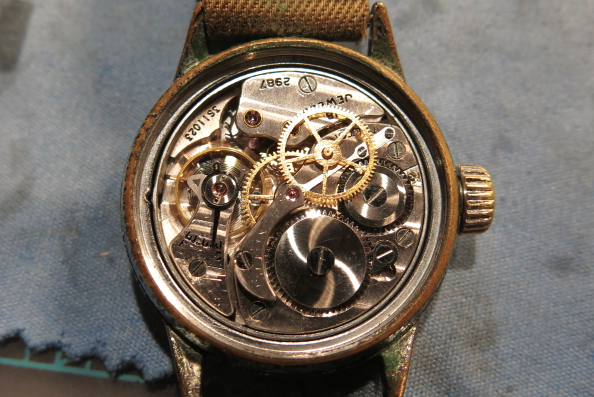 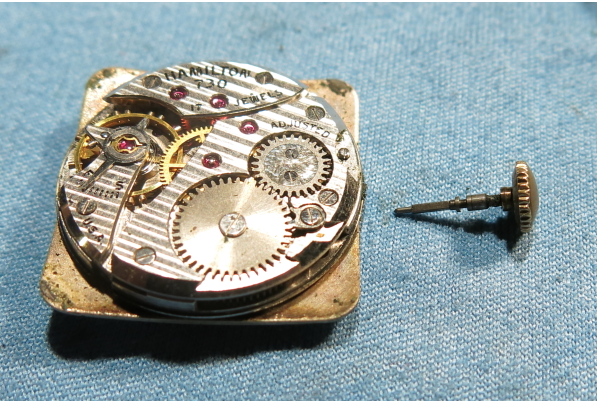 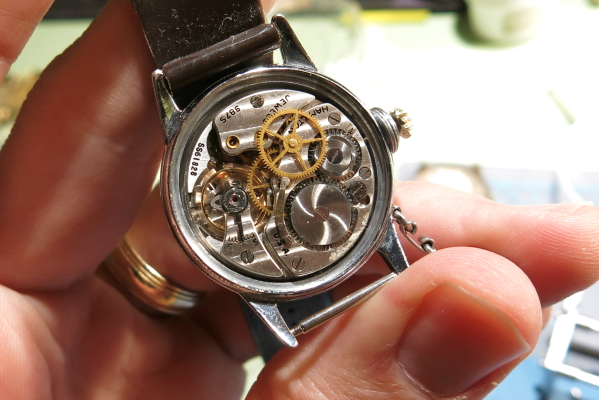 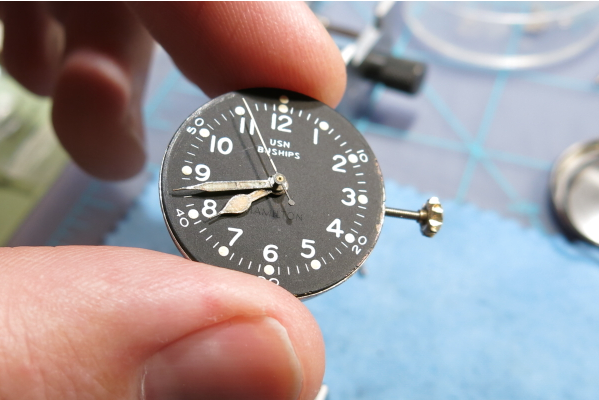 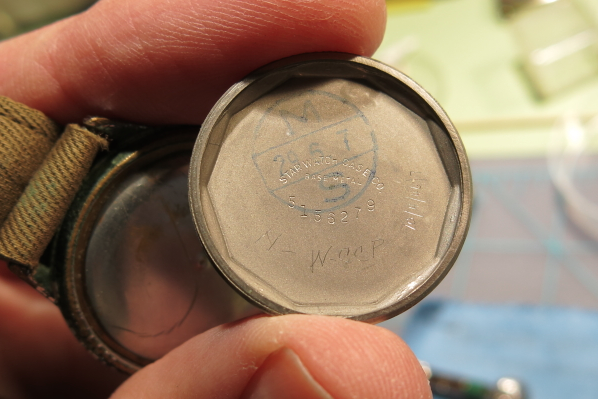 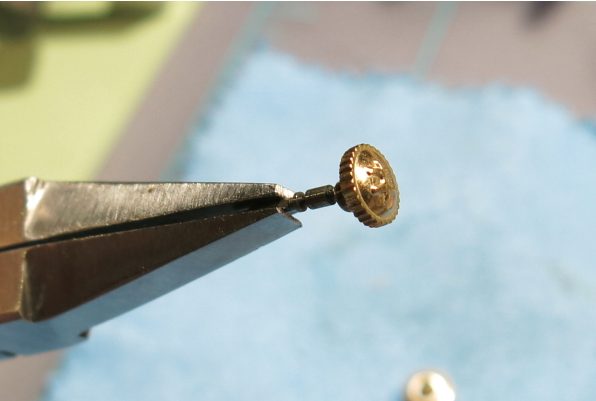 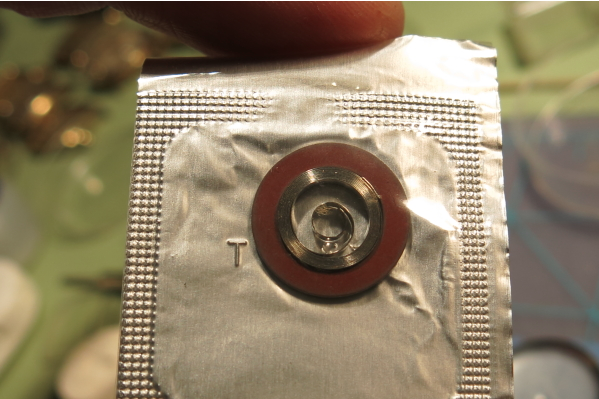 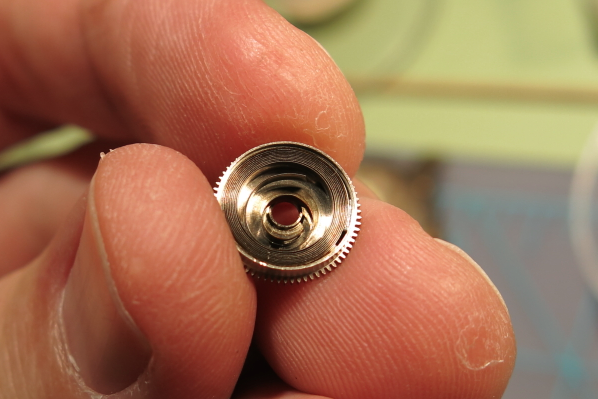 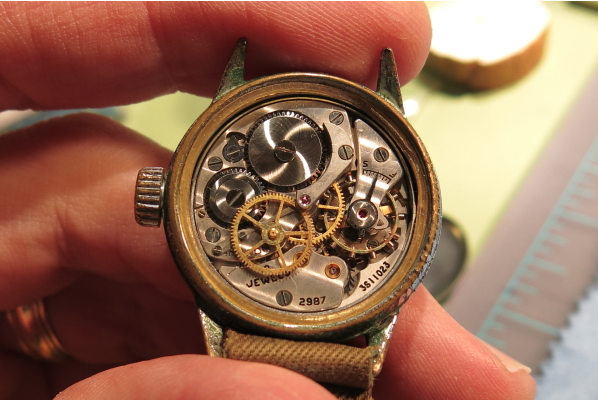 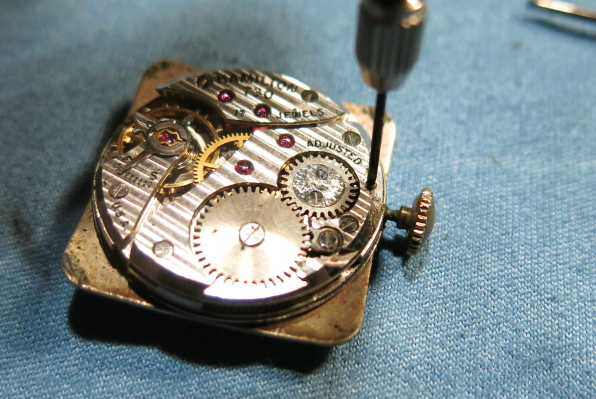 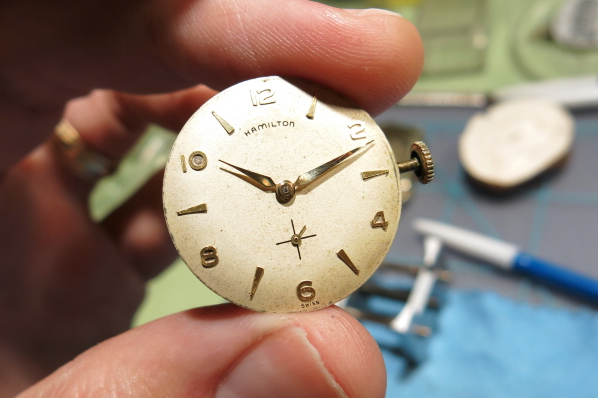 Under the dial you will find a 6/0 sized, 17 jewel 987E movement or possibly a 987A, if it's a later example. 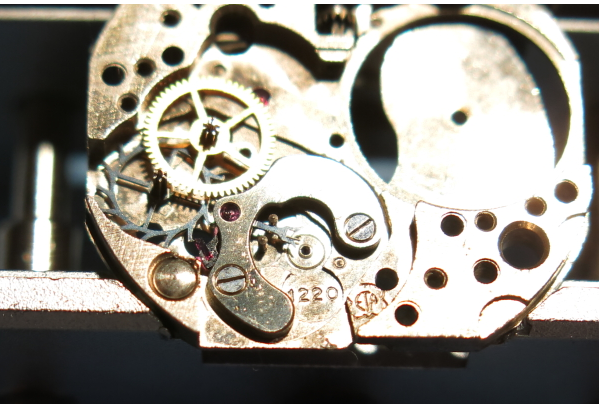 Either movement is acceptable. 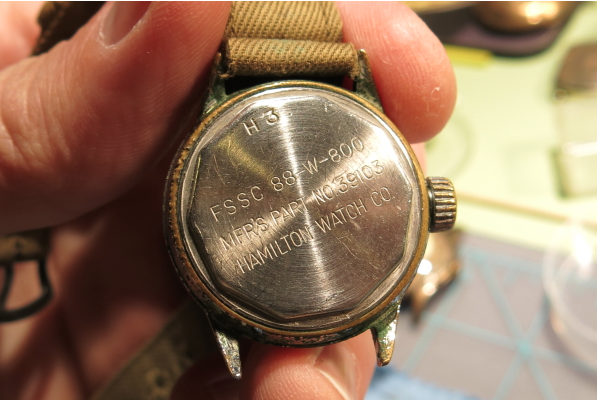 A 987F or 987 would be too early to be in a Merritt. 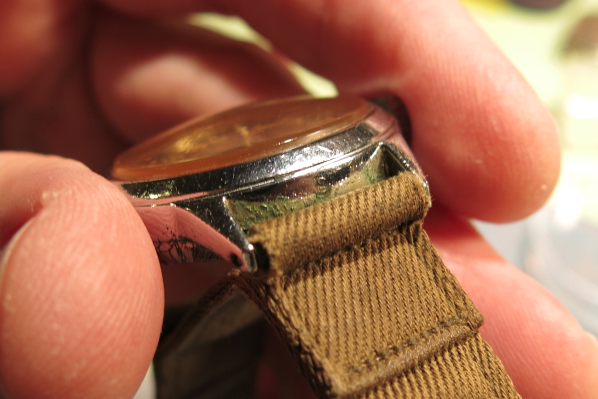 One of the interesting bits of trivia about it the Merritt is it takes a surprisingly wide strap at 19mm. 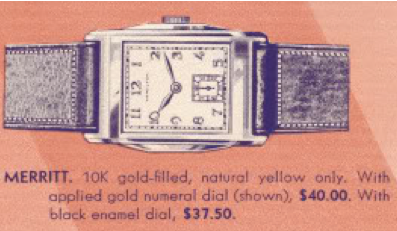 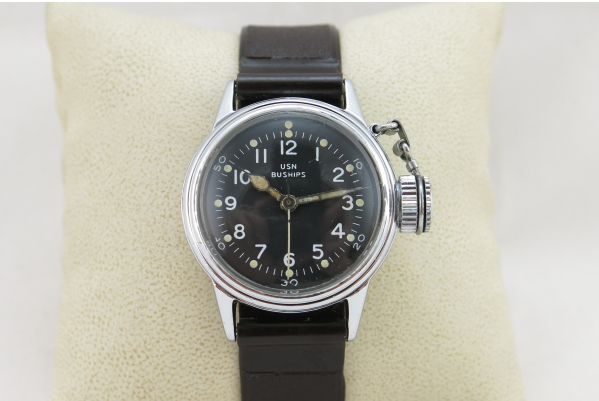 Most watches from this era take a 16mm or maybe an 18mm (actually they would take the fractional inch equivalents... 11/16, etc. 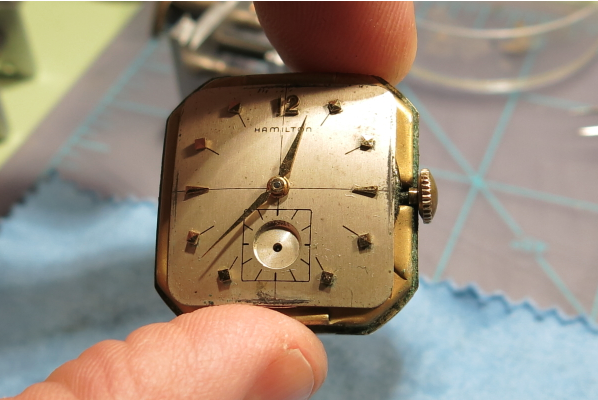 I recently purchased the first Merritt I've ever laid hands on. 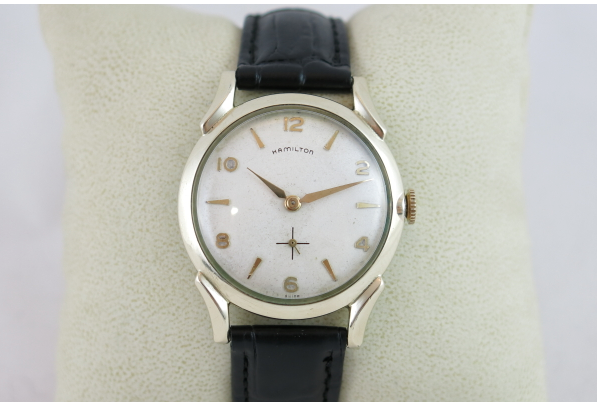 I got lucky on an auction with a few bad photos and an even worse description. 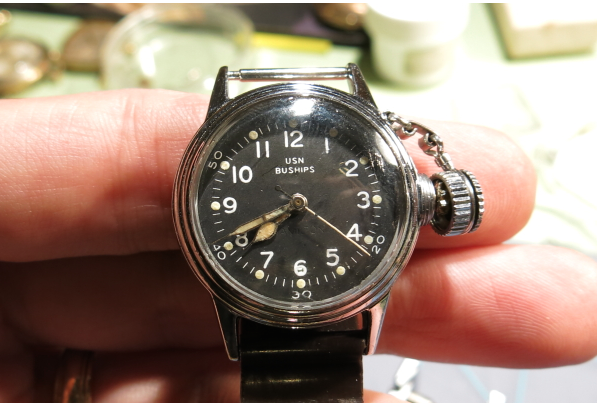 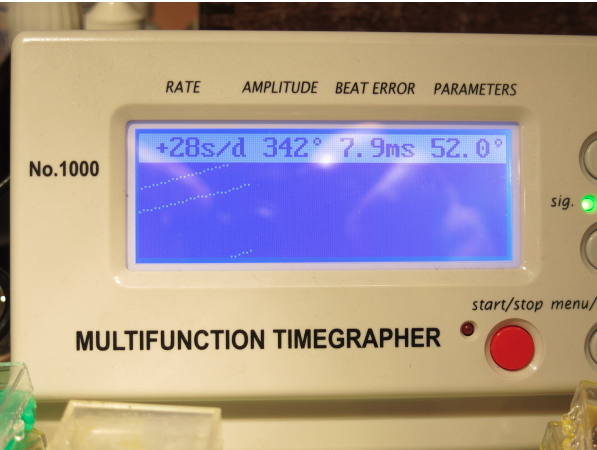 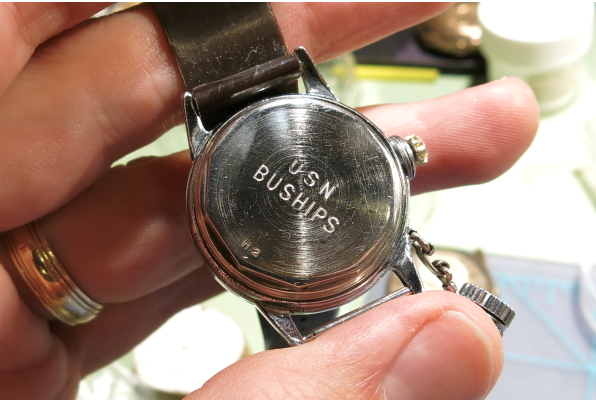 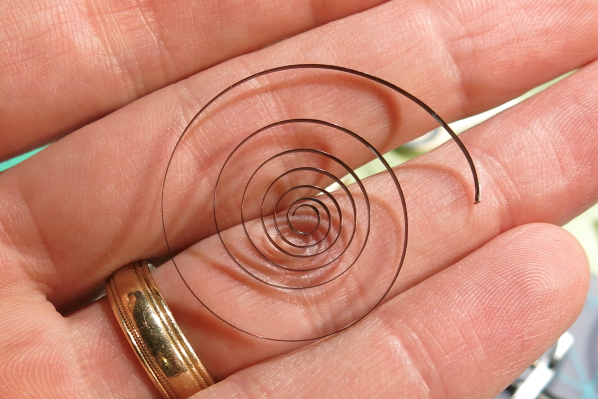 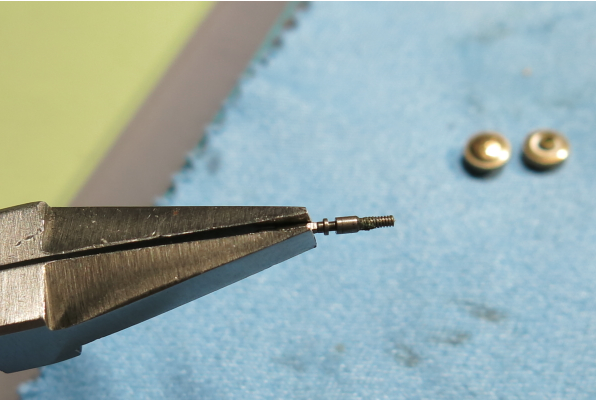 In addition, the watch was described as "self winding"... which I guess in this case means you have to wind it yourself since this is obviously not an automatic. 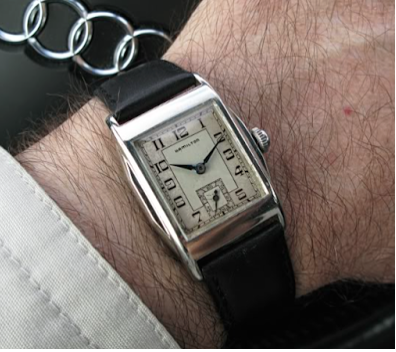 Here's a wrist shot of a the white Merritt, also with the black enamel dial... a striking watch for sure.